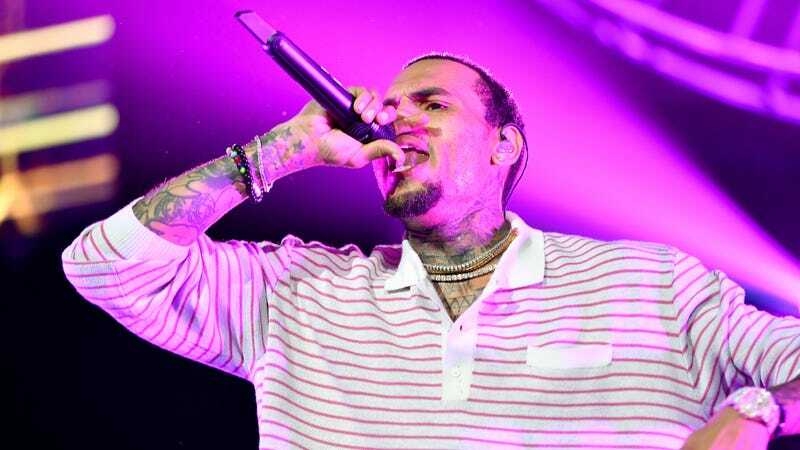 The woman claimed that Brown, a convicted domestic abuser, raped her in his hotel room at the Mandarin Oriental after his January 15 performance at a club called Le Crystal. She also said she was raped by one of Brown’s bodyguards, and later, assaulted by another one of his friends. The story broke on Tuesday via the French publication Closer, which reported that the Paris prosecutor’s office opened an investigation. Hours later, Brown denied the claims on a since-deleted Instagram that read “THIS B!TCH LYIN’” with a caption, “I WANNA MAKE IT PERFECTLY CLEAR...... THIS IS FALSE AND A WHOLE LOT OF CAP!” He was brought in for questioning by the French police but released without charges 24 hours later, per Page Six.